We boast the largest showroom for Lidget Compton Concrete Buildings in our region. We are the market leaders for all your concrete building needs. Our showroom is based in Sheffield, UK, with up to 9 different concrete garage and shed products available to view at any one time. We provide Free Same Day Delivery and Installation. We also provide concrete garage services at an affordable rate nationwide and specialise in Garage Asbestos Removal and Testing, Garage Installation, Demolition and Garage Refurbishment. So why not visit us online or call the experts today. We are open 10am-4pm Monday-Saturday and our on site team of experts are here and waiting to show you around. We will find the ideal building you are looking for, and by using the instant online free quotation we provide on our website, you can easily find what you are looking for, wherever you are. Please feel free to contact us on 0800 318 359 or Visit Our Website www.4concretegarages.com today! We operate nationwide providing replacement garage roof and fascias, concrete garage repairs and asbestos garage removal. We"re licensed asbestos removal contractors specialising in the disposal of corrugated roofing or asbestos panelled garages. We also offer an asbestos testing service. We only use 0.7mm gauge roofing with close centres. Our anti drip fabric is thought to be the best that money can buy. 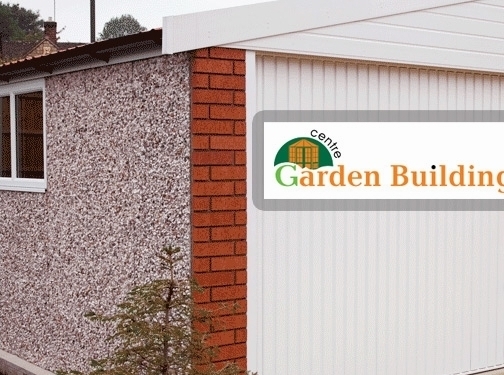 UK (Sheffield, Grimsy and Chesterfield) based business providing concrete garages, sheds and other garden outbuildings. Website includes catalogue of outbuilding designs provided (with quotation facility), work examples, testimonials, FAQs, blog, videos, terms and conditions, details of showrooms, full company contact details including company registration and VAT numbers.